Challenge: Event Tech’s previous labor module had serious limitations and required too many work-arounds to properly book, communicate with, and track their crew. Solution: Event Tech partnered with LASSO to simplify and integrate their labor workflow. 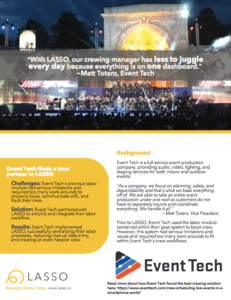 Results: Event Tech implemented LASSO, successfully centralizing their labor processes, reducing manual data entry, and creating an even happier crew. 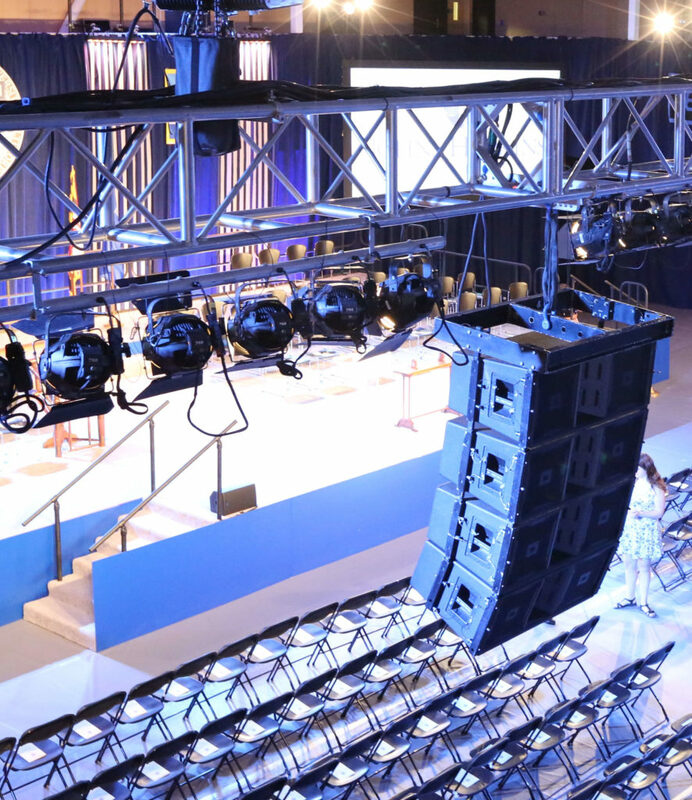 Read more about how Event Tech found the best crewing solution here.